The Popular request Module is Going into Maintenance Mode — request is a popular and long standing Node module for making HTTP requests in Node apps. But being so long standing means it’s hard to change and modernize without breaking things, so the plan is to retire it and let it ‘slowly fade away’ and be replaced by alternative options. Easily Identify Problems in Node Apps with Diagnostic Report — Diagnostic Report is an experimental utility now included in Node.js core (from 11.8.0 onward) for identifying issues in production around things like crashes and memory leaks. New Course: TypeScript 3 Fundamentals — 🏎💨 TypeScript adoption has grown at an astounding rate. 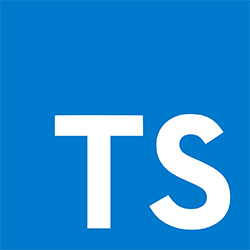 TypeScript allows you to catch bugs before they happen, and collaborate with your team more effectively by documenting your code. npm, Inc. Job Cuts Leave Staff Sore — npm Inc. (the company that maintains the main npm repository) recently cut some jobs in a way considered insensitive by the community – here’s the full story. This is a delicate topic so linking to The Register might seem a little odd, but even those involved are sharing this story, so..
Node v6.17.1 (LTS) Released — We mentioned it last week but Node 6 is going to reach its “End of Life” in just three weeks and this could well be the final release. Node.js Developer at X-Team (Remote) — Join the most energizing community for developers. Work from anywhere with the world's leading brands. Find A Job Through Vettery — Vettery specializes in dev roles and is completely free for job seekers. Dynamic Image Resizing with Node.js and the Serverless Framework — An image resizing or thumbnailing service is probably the second step after “Hello world” when it comes to serverless. Here’s how to pull it off with the Serverless Framework and Node. ▶ A 1 Hour Nest.JS Crash Course — Nest is a popular framework for building server-side apps in Node. This tutorial goes through all you need to know to build a basic app. ▶ Wes Bos Livecodes a Twitter and Instagram Scraper with Node — Wes wanted to automatically track his Twitter and Instagram follower counts and sat down here to figure it out. is-online: Check If The Internet Connection Is Up — Works in both Node.js and the browser and uses Apple’s public captive detection page behind the scenes. combine-pagination: A Library for Paginating Data From Multiple Sources — If you have multiple sets of data you want to blend together, sort, and paginate, this approach could help. pigpio: Fast GPIO, PWM, Servo Control, & More on the Raspberry Pi — One for those of you tinkering with Node on the Raspberry Pi. Mouthful: Generate a Concatenated File of All CSS Used on a Given Site — It’s pretty neat just how short the code is for doing this.